Life on the farm is getting a little easier for hens supplying the U.S.'s $10 billion egg market. In 2015, companies that buy hundreds of millions of eggs a year promised to switch over to cage-free eggs. About 95% of America's shell eggs come from caged chickens, The Humane Society of the United States estimates. 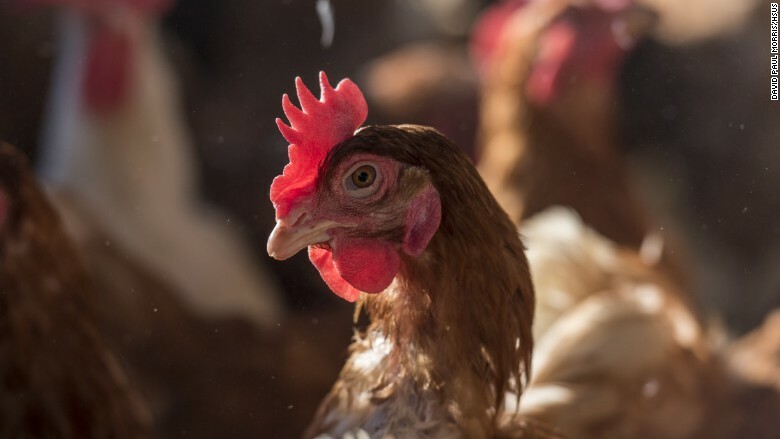 Some suppliers -- including Rembrandt, the nation's third-largest egg producer -- are stepping up to respond to the public's growing demand that producers keep animal welfare in mind. Here's a snapshot of the big brands newly committed to phasing out eggs from "conventionally" raised chickens. McDonald's (MCD) said in September it will switch to cage-free eggs at its 16,000 locations in U.S. and Canada within 10 years. 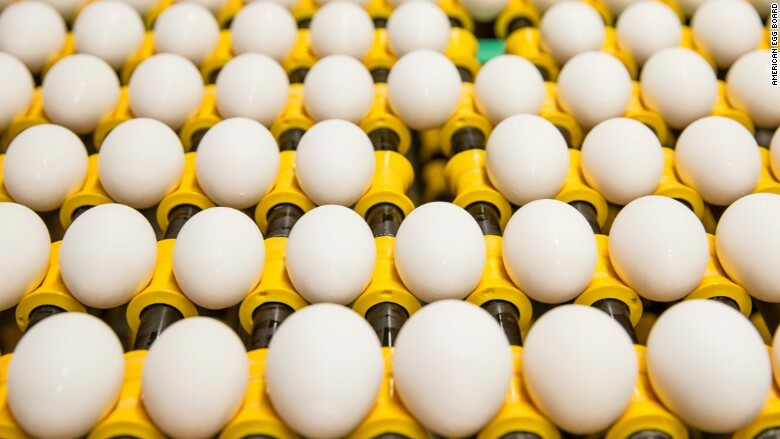 The company began offering all-day breakfast in October, and it already used about 2 billion eggs a year. 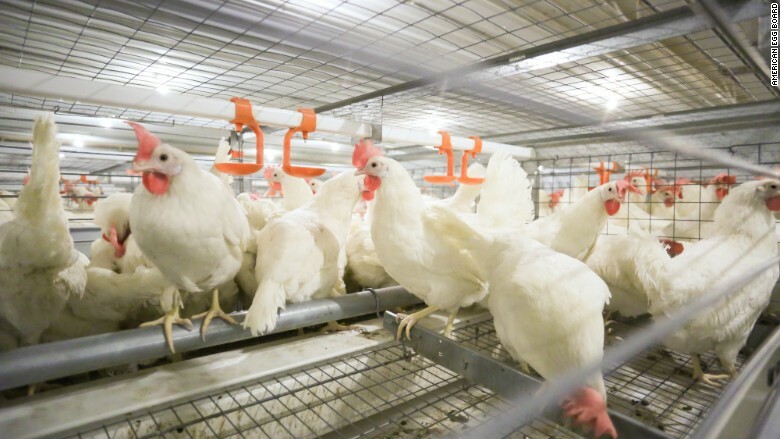 In May, Walmart (WMT)said it plans to "find and implement solutions" to cruel treatment of farm animals, including housing hens in battery cages. Its in-house brand, "Great Value," has been cage-free since 2010. Nestle (NSRGF) has more than 2,000 brands including Haagen-Dazs, Toll House, Lean Cuisine and Stouffer's. It uses about 200 million eggs a year. 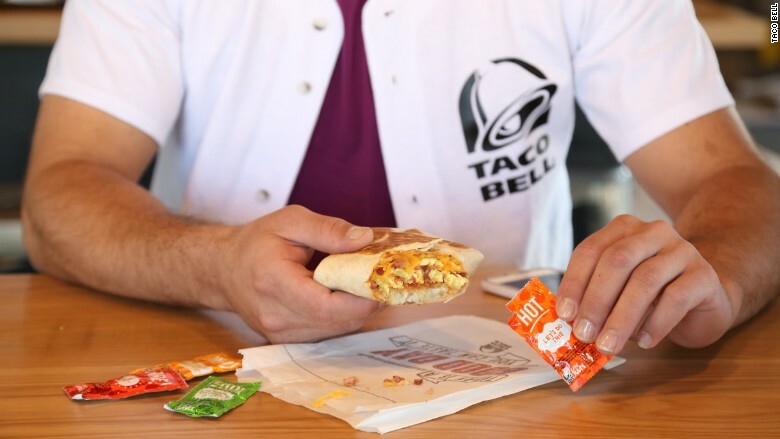 The Humane Society estimates Taco Bell uses 130 million eggs per year, and the fast food chain said it'll make the switch to cage-free in record time. 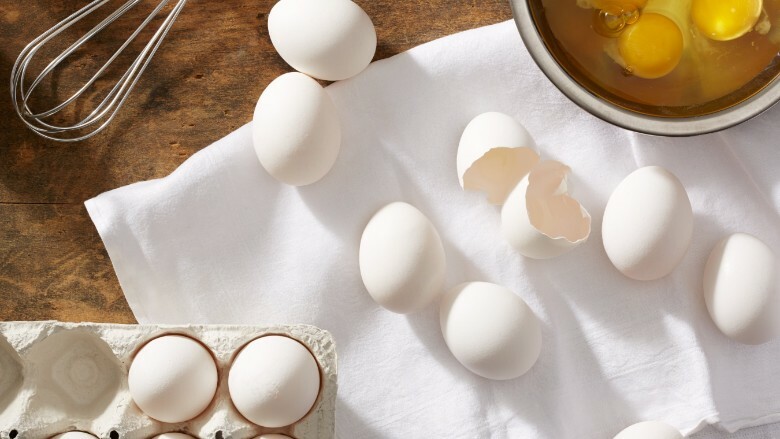 Panera Bread uses about 120 million eggs annually. 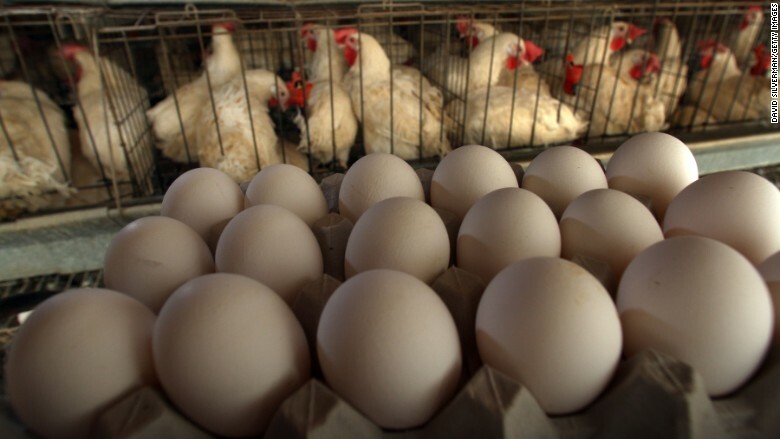 Its nearly 2,000 restaurants will serve up only cage-free eggs, the company said in November. General Mills (GIS), the maker of Pillsbury dough and Betty Crocker products, said in July that it will convert its egg supply. 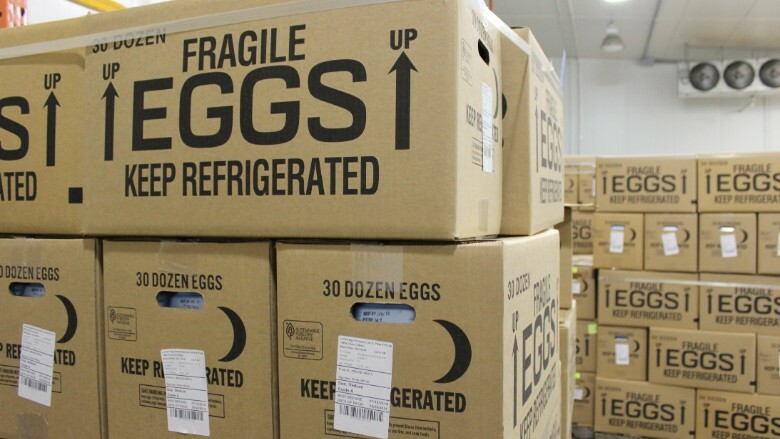 Kellogg's (K) committed in October to sourcing all its eggs from cageless farms. The company owns brands including Eggo and MorningStar Farms. Shake Shack (SHAK) uses conventional eggs in two menu items: ShackSauce and frozen custard. It'll switch its supply and serve only cage-free at all of its 49 U.S. locations within a year. White Castle announced in January 2016 that all of its eggs would come from cage-free hens by 2025 at the latest. The Ohio-based company has been around for 95 years and operates nearly 400 restaurants in 13 states. Hilton (HLT) said in April it will use only cage-free eggs at its 2,000 global restaurants by December 2017. In November, Jack in the Box (JACK) said its 3,000 U.S. locations will make the change by 2025. Cheesecake Factory (CAKE) and TGI Friday also made the commitment this year. The USDA defines "cage-free" as birds that have unlimited access to food and fresh water and can roam in an enclosed area, but it does not require outdoor access. It's important to note that labels like "cage-free" and "free-range" are self-policed. 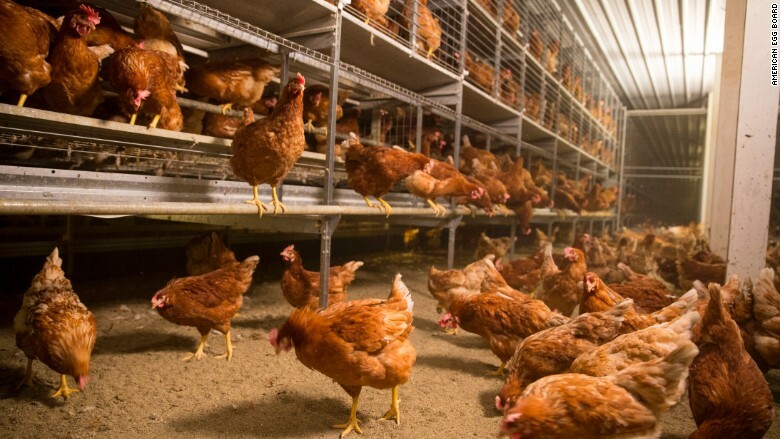 The only animal welfare label for eggs that is monitored and enforced is "organic." Correction: The story originally said there were 66 Shake Shack locations in the U.S. The correct number is 49.